Science and faith participate in a constant dance of doubt and belief, reality and fantasy, humanity and divinity. Quantum physics tells us that we can apply mathematics as we attempt to understand energy and matter on the smallest of scales. Discussions – and arguments – between those who want an absolute adherence to evolution OR creation theories miss the beauty of creation itself. The reality that this science is perfectly compatible with teachings we find in the Bible may be difficult to believe; yet Richard Rohr, OFM reminds us that . . .
As Rohr describes, we too often search for the gift we already possess, the gift of eternity. We too often doubt that God’s love creates and sustains us. We are too ready to discount the idea that God creates us in and for love. Quantum physics often deals in probability and is frequently counter-intuitive; and so we may pose the same questions as those in a Discover Magazine article: “Do any physical theories allow room for God to influence human actions and events? And, more controversially, is there any concrete evidence of God’s hand at work in the physical world?” Rohr invites us to open ourselves to the possibility of God’s paradox of love. Click on this image to take Britannica’s quantum mechanics quiz. The more we explore the contrast between science and theology, the more we question. In his article published in the Huffington Post on July 13, 2011, Peter Baksa writes that “ our thoughts are the language of the universe” as he describes the relationship between energy and matter. Might this be the something eternal we possess and still seek? Might our thoughts be actual energy that connects with the energy that is God’s love? Might this be the message that all of creation and all of scripture shouts at us? And might we want to join in this great shout? Today as we explore both science and scripture, we practice the art of taking in opposites as we allow God to reveal the something eternal within, the Common Wonderful nature of the universe, the splendor of God’s unending love. When we compare different translations of these verses, we find tools to help us understand the common wonderful paradox of our universe, and our place in it. Enter the words God spots into the blog search bar and reflect on The Common Wonderful gift of the Spirit. On the eleventh day of Christmas, my true love gives to me eleven pipers piping. 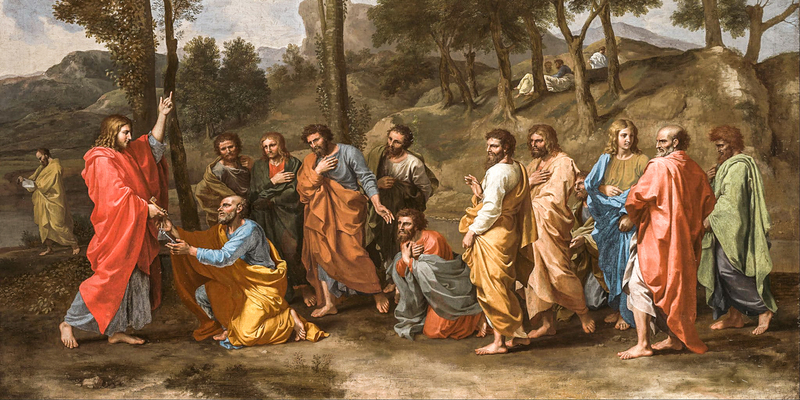 These eleven lords represent the eleven apostles who doubted, yet remained faithful to Christ. When crisis comes into our lives, we often retreat into hiding, taking our fear and exhaustion with us. We revert to what we know and do well; just as Peter and the other fishermen-followers did when they returned to their boats after the horrible events of Holy Week in Jerusalem. Like the story in John 21, we flounder in our boats while Jesus stands “on the shore” of our lives. Like the apostles in this story, we too often do not recognize the faithful Jesus. After fishing all night in the dark, we – like the apostles – remain frightened. Jesus calls to us, saying, “Children, have you caught anything to eat?” We answer, as the apostle did, “No?” And Jesus says, “Cast the net over the right side”. 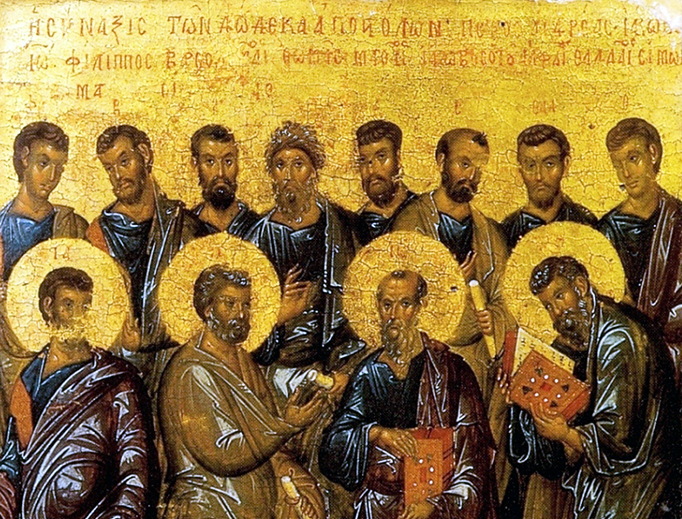 We roll our eyes as we might guess the apostles did. But when we do as Jesus asks, we haul up the net that is “not torn . . . even though it was full of so many” fish. Then we, like Peter, must take the leap over the side of the boat and flail to shore . . . because there Christ is waiting with the brazier of live coals to cook us a meal, to bring us comfort, to open The Word to us, to free us from oppression, to raise us from the dead. And when Christ asks, “Do you love me?” we, like Peter who days earlier had denied that he knew Christ, must respond, “You know that I love you”. It is then that we will be told what and how to do: Feed my lambs, tend my sheep, feed my sheep, follow me. And we must follow. We must take the leap when Christ calls us from the shoreline. We must have faith and we must choose to enact our faith as the faithful followers did. We must cast our nets even though we have been at the task all day and all night without finding success. When we hear the call, we must step out into the water and fly to the shore, because there is truly nothing else more important. This is where the salvation of humankind lies. Adapted from a reflection on apostleship written on April 22, 2007. Simon, called Peter (rock) was crucified on Vatican Hill in Rome. Andrew, Peter’s brother was executed in the city of Patras, Greece. James, son of Zebedee, brother of John was decapitated in Jerusalem. John, son of Zebedee, brother of James died in Ephesus in about the year 98 C.E. Philip was crucified in Hierapolis, Greece. Bartholomew, called Nathaniel was flayed and beheaded in Abanopolis. Matthew, the tax collector, called Levi, Matthew, the Evangelist preached in Persia and Africa, and we have no information about his death. James, the son of Alphaeus, also named The Less or The Just was executed in Jerusalem. Thaddeus, the son of James, called Judas/Jude (not the betrayer), brother of James the Less visited Beirut and Edessa, and was likely martyred with Simon. Simon, the Zealot was likely executed in Jerusalem. In Matthew 27:5 we learn that Judas hanged himself; but in Acts 1:18, his death is described as resulting from a fall. As always, those who explore Scripture are invited to read, reflect, and meditate on The Word that Christ brings to us as his followers. Do you hear Lady Wisdom calling? Can you hear Madame Insight raising her voice? We have visited this chapter of Proverbs before, and today we look at it again with fresh eyes as we consider . . . the gift of creation in each of us, and in the micro and macro-universe we inhabit. Today we reprise our reflection on the wisdom of God’s creation (https://thenoontimes.com/2013/09/07/wisdom-and-creation/) as we consider again the mystery of God’s love for us. These words are an invitation we will want to accept. 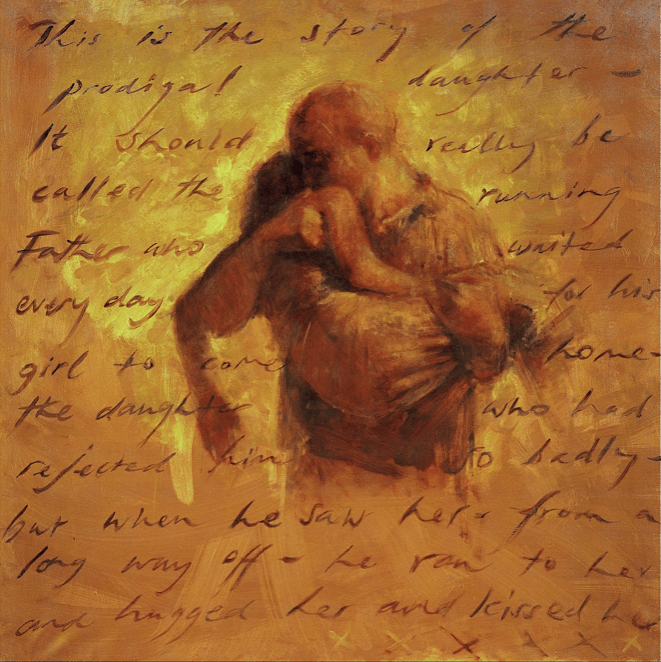 The verses cited in this post are from the MESSAGE translation of Proverbs. To compare other translations, use the scripture link and the drop-down menus. As we close our reflections on Jesus’ teaching with the Parable of the Tenants, we look at Luke 20, a chapter that describes for us how the people who followed Jesus loved him, and how the leaders of his day despised him. Luke places this parable in a context that calls us to action. 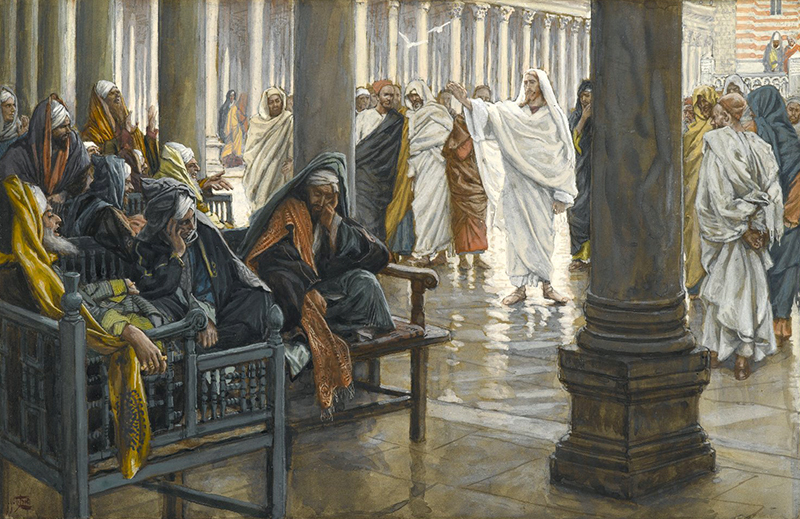 When we spend time with Luke 20 today, we have the opportunity to reflect on this progression of stories: Jesus’ Authority Questioned, the Parable of the Wicked Tenants, The Question About Paying Taxes, The Question About Resurrection, the Question About David’s Son, Jesus Denounces the Scribes. We have the opportunity to explore the meaning of The Rejected Cornerstone. And we have the invitation to take part in the conversion of the world. We read Luke’s verses and know that it is for us to discover why the Pharisees and Herodians despised Jesus, and it is for us to determine how we will act to change a world that calls for newness. If we take a moment to watch the brief “The Pope Video” on YouTube or at www.thepopevideo.org, we will hear the same challenge the people in Jesus’ time heard. And we will have the same opportunity to decide what we will do. For more about Pope Francis’ Worldwide Network of Prayer, click on the image below. Jesus is very clear: A constantly squabbling family disintegrates. We might use these words in our individual and collective lives. Jesus tells us: Listen to this carefully. I’m warning you. We might take this warning to heart. God says: I love you so intensely that I will do all that I must in order to have you near me; but if you persist in turning away my Spirit, you are creating a separation that you will not be able to bridge. I am always waiting for you, guiding you, protecting and advising you. Remain in me so that I might remain in you. Allow my Spirit to rest in you and to create a home in your heart. In this way, we will never be so far apart that you lose sight of me. Listen to my son, remain in my Spirit, and have hope always in me. When we explore other translations of these verses, we open our understanding of God’s generosity, persistence and love. For more on the Maestà of Duccio, click on the image above for two Khan Academy video lessons.